Posted May 19, 2014, in News. 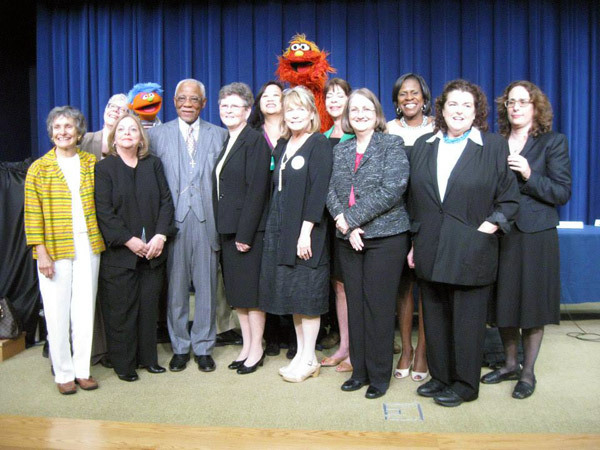 In June 2013, the White House held a Champions of Change event honoring 12 individuals who have devoted their careers to helping children of incarcerated parents and their families, including NRCCFI Director Ann Adalist-Estrin. Announced at the event were several other Federal government initiatives focused on providing support to children with parents in prison or jail and their caregivers. Rev. Dr. W. Wilson Goode Sr. Page last updated by The National Resource Center on Children and Families of the Incarcerated at 3:03 pm August 10, 2017 . This page was printed from http://nrccfi.camden.rutgers.edu/2014/05/19/obama-administration/ at 8:25 PM Monday, April 22, 2019.